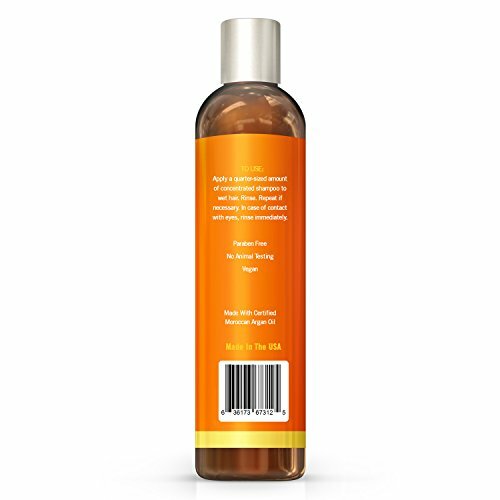 A gentle, natural Clarifying Shampoo ideal to combat oily, greasy hair, itchy scalp and dandruff. Safe for color treated hair and hair that has been weakened, damaged by color, chemical processing or heat styling. Removes excess sebum and buildup. Brings balance to sebaceous glands and controls flaky, oily scalp. Natural Ingredients, Contains No Parabens, Pabas Or harmful chemicals. 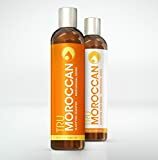 Contains natural oils and herbs to pamper your hair while cleansing. 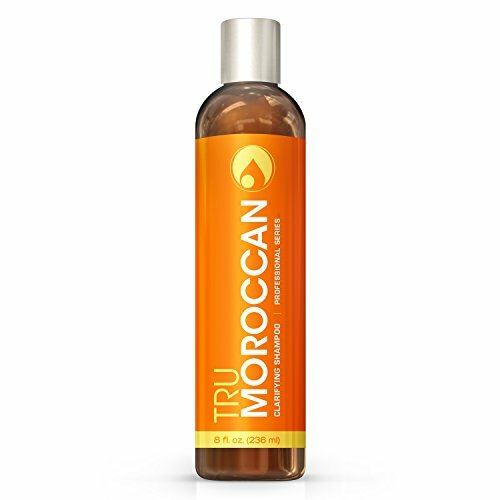 Cleans hair while maintaining moisture control. 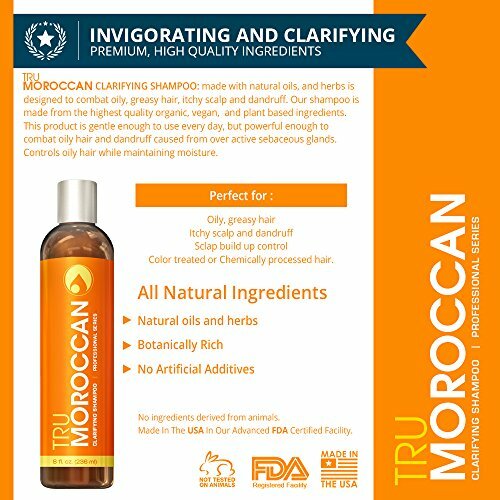 Tru Moroccan Clarifying shampoo made with natural oils, and herbs is designed to combat oily, greasy hair, itchy scalp and dandruff. 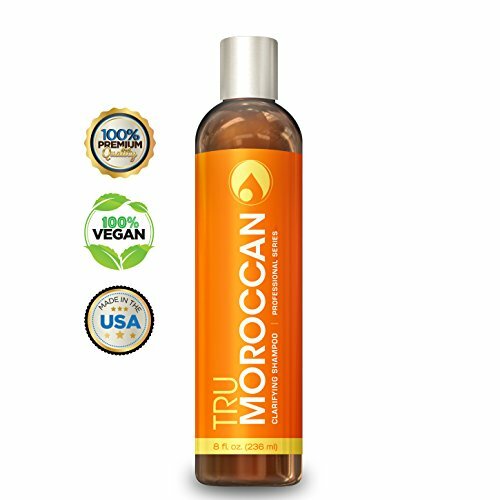 Our shampoo is made from the very best quality organic, vegan, plant based ingredients. This product is gentle enough to use on a daily basis, but powerful enough to combat oily hair and dandruff caused from over active sebaceous glands. 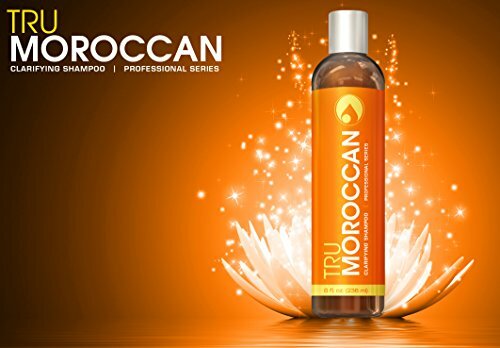 Tru Moroccan hair care products are botanically rich and freed from harmful chemicals and ingredients. Our products are great for color treated or chemically processed hair. They enhance and restructure the shaft and cuticles of the hair, without stripping your hair of color. 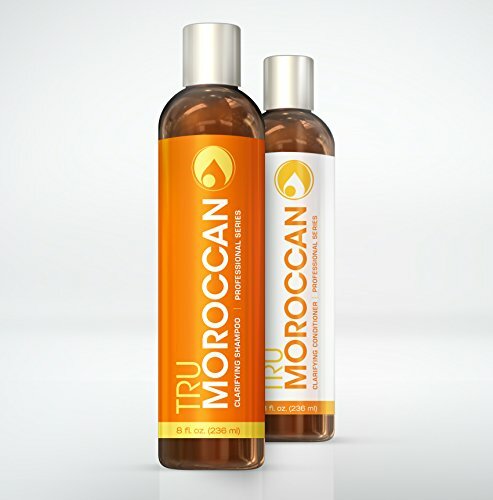 Controls oily hair whilst maintaining moisture. 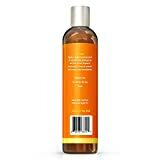 A gentle, natural Clarifying Shampoo ideal to combat oily, greasy hair, itchy scalp and dandruff. Secure for color treated hair and hair that has been weakened, damaged by color, chemical processing or heat styling. Gets rid of excess sebum and buildup. 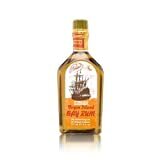 Brings balance to sebaceous glands and controls flaky, oily scalp. Natural Ingredients, Incorporates No Parabens, Pabas Or harmful chemicals. Incorporates natural oils and herbs to pamper your hair whilst cleansing. Cleans hair whilst maintaining moisture keep watch over. Made with Highest quality and premium ingredients. Fresh Citrus fragrance, no artificial color, no artificial additives, or impurities. 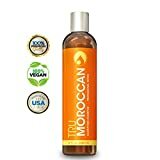 Not tested on animals (Cruelty Free). No ingredients derived from animals. Made In The united states In Our Advanced FDA Certified Facility.